airplanes, jets, passenger, airliners, military, bomber, fighter, helicopter, vintage. 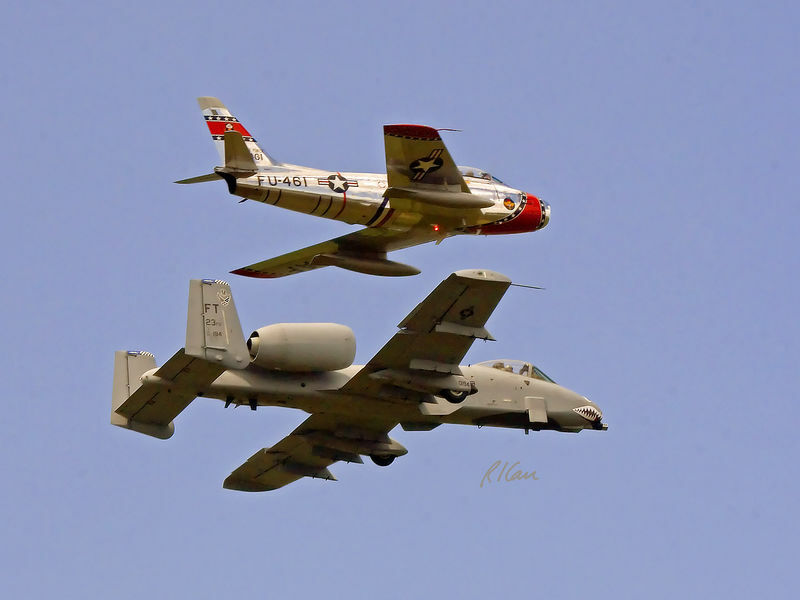 Vintage military aircraft: A-10 Warthog and F-86 Saber Jet flying in formation in air show. Thunder Over Michigan, Yankee Air Force, Willow Run Airport, Ypsilanti, Michigan, August 2005.